Hello, everyone. My name is Josh Hurst, and I am the senior writer on the Grammar Chic team. Any time between the hours of 8 and 5, you can find me in my home office, listening to Spotify, sipping coffee, and writing blogs, press releases, social media content, and more. But today, it’s a very different kind of writing project I want to talk about: Headline writing. As recently as yesterday one of my clients called me and said he had a full website that was written, coded, and ready to launch—all save for one key element: He needed some catchy, attention-grabbing headlines at the top of each page. “Can you work some of your headline magic?” he asked me. Now, let me be clear in saying that I do not necessarily fancy myself a headline magician, and the headline-writing secrets I’m about to offer you are in fact not secrets at all: They’re just common sense. With that said, I do think headlines are significant, and I spend about as much time thinking about the headline as any other part of the content I write. Simply put: If you don’t have a compelling headline on your Web page, the rest of the content doesn’t really matter, because nobody’s going to read it. 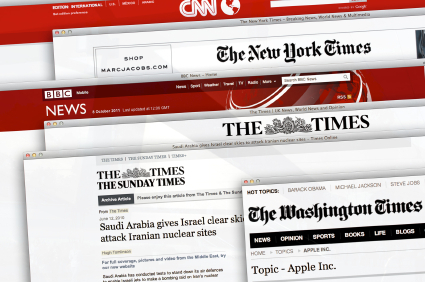 Short, snappy, value-driven headlines draw readers in—but how do you write them? Here are five pointers I’d offer to anyone who wants to develop their own headline writing magic. Don’t get cute. You know the old rule of writing: Always avoid annoying alliteration. Your headlines should be snappy and they may even be clever, but remember that the point is ultimately to summarize your content and to convey value. Don’t make your headlines too cute or too clever for their own good with dumb gimmicks, puns, alliteration, or the like. Don’t overpunctuate. This may sound silly, but I see a lot of headlines that come laden with punctuation—sometimes forming two or even three full sentences in the span of a single headline! You probably want to avoid the parentheticals and any superfluous pauses or clauses. Punctuation can slow the reader down, and if you find yourself needing a lot of it, you’re probably writing overly complicated headlines anyway. Don’t forget the pain points. That’s where your headlines should emanate from: What are your reader’s problems, and how are you going to position your headline as a solution? That’s the most important part of the headline: It needs to communicate value and benefit to the reader. Don’t be passive. I like to start headlines with strong action words whenever I can: Uncover. Explore. Experience. Why state facts when you could actually create energy and momentum with a strong, specific verb? Don’t overthink it. Finally… remember that the mission of the headline writer is really pretty simple. Again: Think value, pain points, specifics. You want to show your readers that there’s something to be gained from reading further. Sometimes the best headlines are the simplest, most direct ones, then. Don’t force yourself to be wordier or more sophisticated than the situation calls for. Good luck with those headlines, then—and if you do need further assistance, call the Grammar Chic team: 803-831-7444, or on the Web at www.grammarchic.net. The glory days of the press release as a meaningful SEO implement may be over; but the usefulness of writing and distributing press releases continues—and savvy business owners take advantage of it. There are a number of options available for those who wish to create company press releases, and the best one is to share actual, relevant company news: A new product, a new hire, involvement with a charity or non-profit, extended holiday hours, special discounts and promotions. 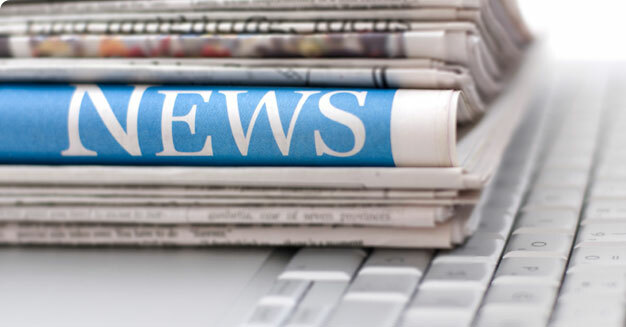 If there isn’t any company news to share, don’t worry: You can always send out a “hot topic” press release, weighing in on trends within your industry or perhaps commenting on news that’s relevant to your vertical. But what we really want to consider today isn’t the how, but the why. Why should business owners continue to send out periodic press releases—not necessarily every day but every quarter or every six months? What are the benefits to be gleaned? Real companies have real news to share. The first reason to share press releases is that it lends legitimacy to your company; it proves it to be a thriving business with real goals and true momentum. Real businesses accomplish things. They have news worth sharing—and they’re more than happy to disseminate that news to their customers and clients. A lot of big companies, especially public ones, have “newsroom” sections of their websites, compiling all the latest company updates. 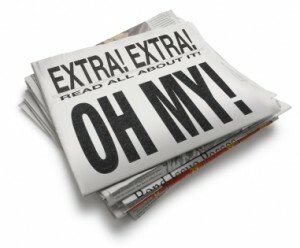 A company that does not share its news, meanwhile, can seem stagnant. People might wonder if you’re even still in business. Press releases get your name out there. Another reason to invest in press releases: It gets your company’s name into circulation, and out there in front of readers. This happens not just through the typical PR distribution channels, but also when you share your press release on social media, in company e-mail newsletters—you name it. A press release is another piece of content, another piece of marketing collateral your company can implement to its advantage. Press releases prove your industry involvement. A final point: Press releases show you to be an active player in your industry—especially when you use them to comment on issues that affect your vertical or niche more broadly. Thus, press releases can be platforms for building industry authority and establishing thought leadership. They prove to your customers and clients that you know what you’re talking about. All that’s left now is for you to get writing, crafting that killer press release—or, of course, to call the Grammar Chic writing and marketing team. We can be reached at 803-831-7444, or www.grammarchic.net. There are many tactics online marketers use as they relate to spreading a message, attracting attention to a brand and improving search engine rankings. One popular method is through the distribution of press releases or “hot-topic news items” about an individual or a company. 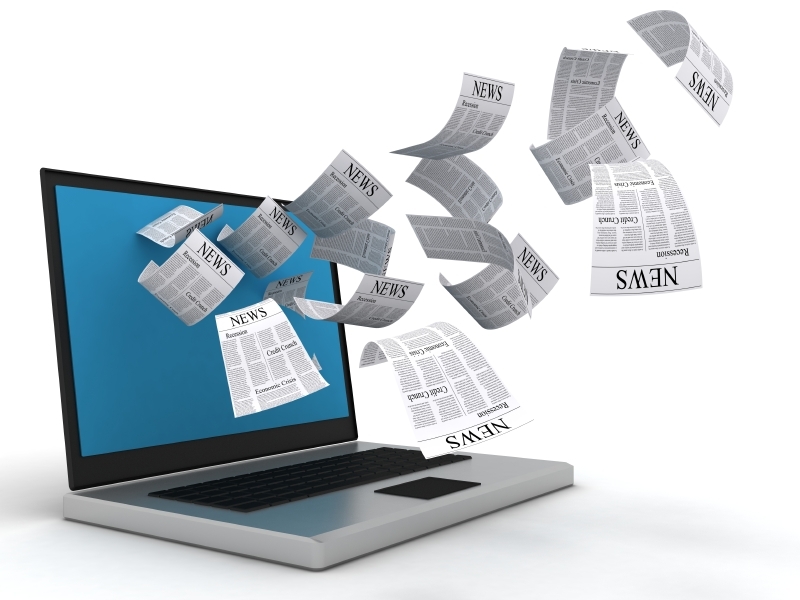 Press releases, in general, are very valuable for use online because of their ability to immediately change, improve and modify search engine rankings. However, in order to get the most out of a press release, you simply cannot write one haphazardly and without a certain amount of strategy. You must decide on the goals of your press release and write accordingly. Writing about a topic that isn’t news. First off, it’s very hard for some individuals or companies to truly identify what is classified as news and what is not. While it is often apparent what to write about (a sale or special offer, a new product, an award or honor presented to an executive of the company, etc. ), you may find yourself grasping for a suitable topic if you have no new product launches or promotions to share. Ultimately, you must be able to present an angle that is newsworthy and relevant. This is the only way your release will gain any traction online or be picked up by other media outlets. Using a casual or informal tone not up to par with journalistic standards and/or writing in the first or second person. No matter what your release is discussing, you must keep it high level and professional. The verbiage you use must be commanding and be delivered in an authoritative voice. The same can be said about using a first or second person perspective. A press release must always be delivered in the third person and you have to be very careful to double and triple check this when you are proofing and getting ready to distribute the release. Many times, writers have a tendency to switch perspectives and, while it is okay to use the first person point of view in a direct quote, you should make sure that you switch back to third person as soon as you are done quoting a source. Not understanding or discounting the value of a professional distribution service. Many first time press release writers or amateur marketers truly do not realize the value of utilizing a professional PR wire service, such as PRWeb, PR Newswire, etc., until it is too late. Instead they believe that their press release will easily get picked up by sending it to a TV station or newspaper directly. Let me be the first to say that this is not a sound strategy and that it is unlikely, except in the case of very small, local markets (I’m talking small towns and a local paper, not a large media market) that you will get any traction or attention for your release. Of course, a PR wire service also comes with a cost and, if you are on a tight budget, it is true that this might not be feasible right off the bat. However, I only say this because I have seen many individuals take the press releases my team at Grammar Chic writes and come back to me frustrated and disappointed with their results after trying to distribute it on their own. Ultimately, if you plan on utilizing a PR wire service, realize that the reason you are paying a steep price is because they are providing you with a way of immediately getting in touch with their vast network of editors, copy desks, bloggers, journalists and the like. As such, in order to take advantage of this network and get the most out of your press release distribution, simply put, you must spend money to make money. In closing, press releases and their corresponding distribution strategies are excellent tools in the arsenal of any online marketer, businessperson or individual—at least when they are executed correctly. If you are just getting started in the world of press release writing or if you have been working at this angle, but have not yet seen results and need some help, reach out to Grammar Chic, Inc. by calling 803-831-7444 today or visiting www.grammarchic.net. 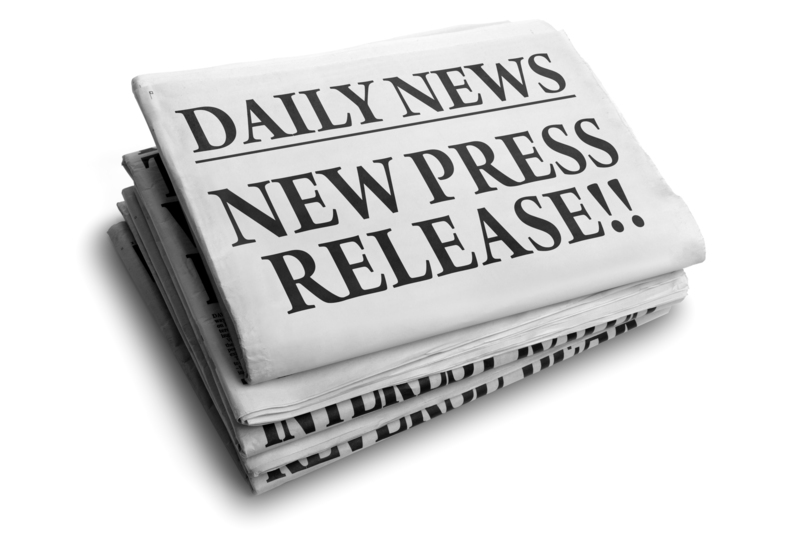 Our team of professional press release writers can help you draft and distribute a press release that highlights your brand or news effectively and gets results!